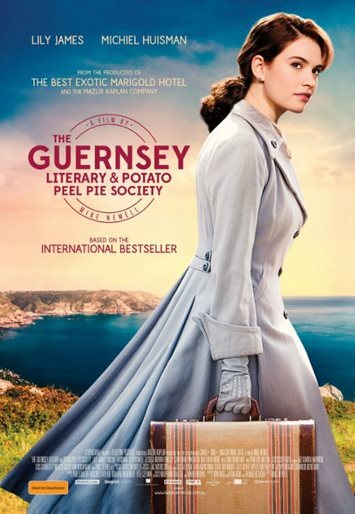 This is about a writer who travels to Guernsey just after the end of the Second World War and falls in love with the place and the courage of its islanders during the German occupation. Written in an epistolary form, it allows the writer to let the characters tell their own stories of the occupation. Dawsey Adams owns a farm and likes the writings of Charles Lamb. This is a theme running through the book that everyone has a favourite author. Isola talks to Juliet about her biography of Anne Bronte. Eben, a tombstone carver, likes Shakespeare, Wordsworth and Dickens. Clovis wants to learn poetry to impress a lady and looks to Catullus a Roman Poet and the war poetry of Wilfred Owen. John Brooker takes on the persona of his employer Tobias Penn-Piers, reads the letters of Seneca. The founder of the society is Elizabeth, who we never see as she is captured and sent to a prisoner of war camp. Dawsey tells the reader how during the war the Germans confiscated all food provisions including any livestock. When Mrs Maugery calls him and tells him she has a pig and bring a butcher’s knife they gather the neighbour’s and have a feast. Coming home after curfew a little worse for wear they are caught by the Germans who demand to know where they have been. Elizabeth proclaims they have been at the inaugural meeting of the literary society. They had been reading Elizabeth and her German Garden, a book which I’m sure doesn’t exist, but placated the guards. In part one Juliet remains in the UK and the letters are sent back and forth. She also gains an admirer in the form of Markham Reynolds, a suave, intelligent American who sends her flowers and takes her out to dinner. Their relationship reaches a crunch point when he asks her to marry him and she is not sure. When she travels to Guernsey we see his more controlling side. This is a beautiful contrast to the simplicity and unassuming nature of the islanders. Each character has their own use of language and some are more opinionated than others. Adele Addison disapproves of Elizabeth due to her liaison with a German Officer, but Remy who resides in the detainment camp with her speaks of her courage. Isola speaks of men being more interesting in books than in real life and is dismayed someone has not introduced her to Jane Austen. Dawsey is portrayed as not very well educated, especially when contrasted with Juliet’s American suitor, but he still reads Charles Lamb. Witty and engaging this is a beautiful easy read, celebrating the courage of an island through the eyes of its residents and the curiosity of a writer. What makes this more poignant is the fact that the author died before the final edit and it was her niece that completed the book.